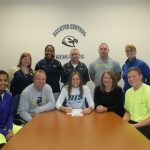 On Thursday, November 14 Shelbi Patterson signed a Letter of Intent to continue playing basketball after high school at the University of Illinois-Springfield. Congratulations to Shelbi as she will do a great job of representing Decatur Central Athletics. 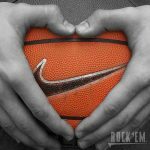 Multiple Teams · Sep 4 Do you LOVE the Game?? Haley Pace will be continuing her basketball career at IU Southeast. Good luck Haley.